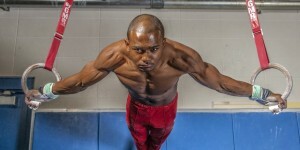 When John Orozco tore his ACL during the post-Olympic tour, some gymnastics fans thought that John wouldn’t compete in 2013. But John proved them wrong. By the 2013 P&G Championships, he was back, and he earned a spot on the U.S. World team. At the 2013 World Championships in Antwerp, he won a bronze medal on parallel bars, and he hasn’t slowed down since. Earlier this year, John won the all-around at the Houston Invitational with an impressive score of 92.250, and after one day of competition at the Winter Cup, John is tied for second with Ohio State’s Sean Melton. Both gymnasts totaled an 86.150 in the all-around–only 0.050 behind Marvin Kimble, the current leader. Yesterday, Uncle Tim chatted with John about his performance at the Winter Cup, his new (possibly eponymous) skill on floor, his experience training with the Chinese gymnasts, and his preparation for the American Cup. Uncle Tim: How do you think the first day of competition went for you? UT: Can you describe your new skill? UT: How did that skill come about? UT: If you perform it at the American Cup, it would be named after you, correct? UT: I interviewed you right before your trip to China with the U.S. National Team. How was that experience? UT: Besides repetitions, what are some of the major differences between training in China vs. training in the United States? UT: Heading into the American Cup, how’s your training going? UT: I know that you like music, so here’s a fun question for you. If you could choose one song to be the soundtrack to your life, what would it be? UT: You’ve been bombarded by little kids asking for autographs and photographs. That’s one of the interesting things about this meet. 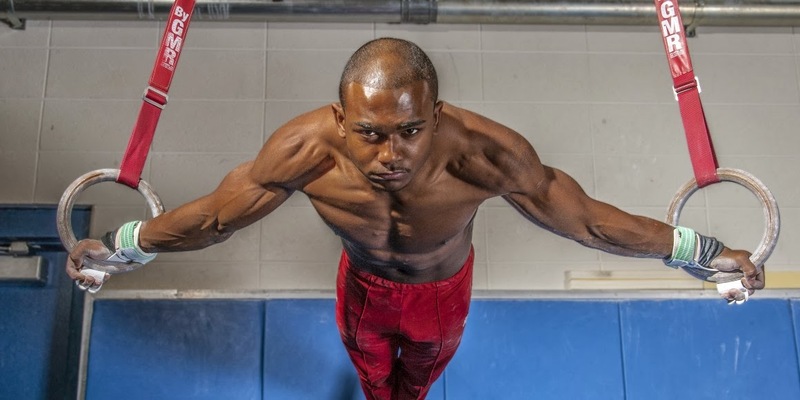 You’re competing, and the next generation of gymnasts is right there, watching you. 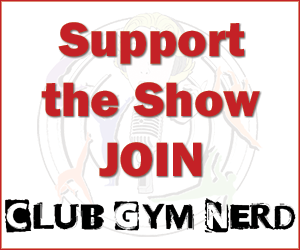 Do you have any advice for the young gymnasts? The Winter Cup continues tonight, February 22, at 7:15 PST. USA Gymnastics will stream the meet live, and Uncle Tim will do quick hits on the GymCastic website. I thought you could only get a new skill named after you by performing it at the world championships or olympics? All of his answers are awesome, especially how inspired he is to be an innovator not just accept limits. Thinking about it, the Chinese MAG are like the USA WAG. Hopefully one day we’ll have a program where both our sides are pretty equal.